missionaries | You Can Shake the Gates! missionaries – You Can Shake the Gates! 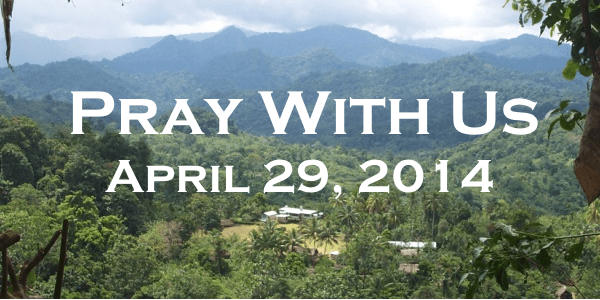 When I (Todd) was in Papua New Guinea last September, I spent time with people for whom God has given me a deep love, connection, and calling. He has inscribed them on the pages of my heart in a spiritual ink that will not fade with time and cannot be erased by the distractions or worries of life. As often as I’ve been tempted to turn away from this calling, God brings them to me in dreams, in reading, in off-hand comments made by people who are unwittingly used by God to remind me of this people made before time for God’s glory. 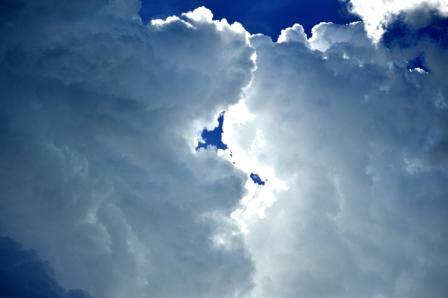 When I am weary and fearful, God calls me to strength and courage and continually draws me to the place of remembrance. I cannot escape it. He calls me to a mountainside in Papua New Guinea and he floods this theater of the mind with faces etched by the tropical sun, voices of children and grandmothers calling after them, with the musty smell of the jungle in rainy season, with the course feel of calloused hands hardened by day after day of back-breaking labor. He reminds me of the high stakes of this calling by bringing visions of shamans making sacrifice for the recently dead, of faces covered in hot tears streaming down their chins, fear-ridden wailing as another young person has given way to tuberculosis or murder or any number of tragedies. Oh God, do not delay . . . allow us to be with them soon . . .
Angela and I feel that the Holy Spirit has kicked it up a notch in returning us to Papua New Guinea to finish the translation of the Somau Garia New Testament. The urgency we feel is almost painful and we are noticing that every week we are having more dreams, more tears, more internal pressure to get there this year. The time is definitely now. There is no mistaking it. We’ve prayed. We’ve talked strategy. We’re looking to God to move mountains to make this happen. In response to all this, we’re prayerfully laying an opportunity before you. 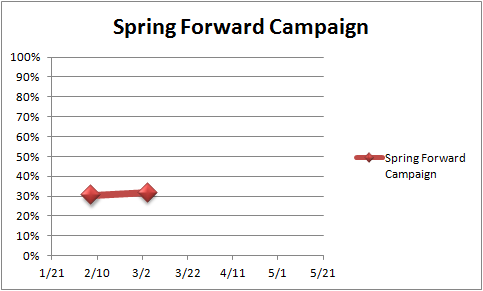 We’re calling it the Spring Forward campaign and here’s the idea. We are at about 1/3 of the monthly pledges we need for Pioneer Bible Translators to allow us to return to Papua New Guinea. We are asking God to increase those pledges within the space of the next two months to 2/3 of monthly pledges needed to land us on the field. Here’s how you can participate in this campaign. First, talk to God about it. Ask Him what He would like you to do to make the completion of the translation of the Somau Garia New Testament possible. Second, if He leads you to join the provision team, visit the “Donate” page by clicking here and decide which kind of donation you’d like to set up. Third, drop us a line to let us know of your intention to support Pioneer Bible Translators so that we can add you to our email updates, prayer updates, etc. 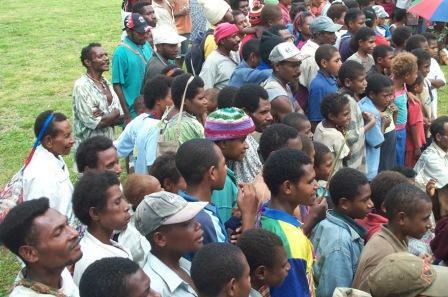 Thank you for prayerfully considering God’s desires for your involvement in this ministry of getting the word made available to the Somau Garia people in their heart language. What’s a Life Worth To You? The Spirit of God continues to draw our hearts across the Pacific to a mountain village on the side of Mount Somau. Please pray for our preparations and, if God be drawing you too, come alongside us as a financial partner . . . Visit the Donate Page to learn how. Blessings, Friends! Day 36: Do You Have a Minute? Knock. Knock. Knock. Do you have a minute? I know you are busy, I just have a few things to share with you. I’ll keep it short. I’d like you to hear the voice of the Somau Garia translation team, represented in the comments of Ezekiel, the leader of the Somau Garia team in an interview I did with him in September 2013. I am Ezekiel, the leader of this Somau Garia translation program. I say “thank you” and express my happiness to our supporters, those who help us with resources in some small way, I say “thank you”. The invitation remains to those who may have a desire to support the Somau Garia program by supporting our supervisor [Todd Owen] and his family to return to work [with us]. The work of support that you do is important. I exalt the name of Father God and say “thank you.” I am Ezekiel Panawa making this talk. Ezekiel is being very Melanesian in his greeting and plea, that is to say, he is downplaying the hugeness of the situation by being very indirect. He is amplifying the message by whispering. This man took me under his tutelage in the late 1990’s when we first lived with the Somau Garia people and has been a good advisor and brother to me ever since. He has known hardship over the years and has given much of himself to see the Word of God become available in the heart language of his people. I’d like to challenge you in two ways. First, if you are not part of our prayer team, click here to drop us an email to either sign up to join the team or to find out more about what that means. 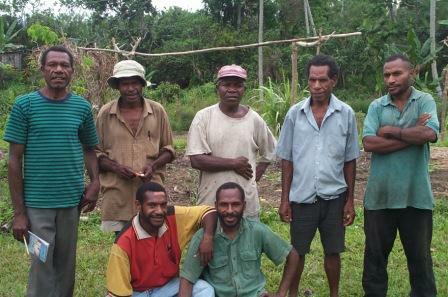 Second, if you are not currently financially contributing to Pioneer Bible Translators towards sending my family and I back to Papua New Guinea to work alongside men like Ezekiel, Stanley, Sirion, Wai, Kenny, et. al., in order to complete the translation of the Somau Garia New Testament, I ask that you prayerfully consider joining the provision team. To do so you may click here to visit our donate page. Along with Ezekiel, I thank everyone who has been involved in praying for and/or financially supporting this ministry. Living in New Guinea has forever changed my walk. He moved on and I grew up some. One summer I worked at the same factory as my Dad. At work Dad moved walked briskly, eyes ahead. No meandering. No loafing. It was different than at home, kind of inspiring. I packed a lunch like his, watched as he did his job; tried to be like him. He was a lot tougher than I. I lasted about a week and moved onto something really challenging: sacking groceries at a supermarket. Watching my Dad made its imprint all the same. Then I was the Dad. I took my wife and two little boys to the second largest island in the world (next to Greenland). Gone were wide sidewalks and manicured paths through the woods I knew at state parks back home. We had arrived in the Land of the Unexpected. The paths here were steep, slick, narrow. Overgrowing them were vines, thorns, razor grass. Crawling over them were carpet pythons, scorpions, death adders, centipedes, tree pythons, and leaches. To walk these paths required a different gait, a different posture, fixing your eyes on your feet and the path, rather than the scenery all around. And that was only in the daytime. When night fell, it was better just to not plan on walking away from central village areas. Occasionally it was necessary. In 2000, my friend Chris and I hiked throughout the length and breadth of two language areas, collecting word lists, writing observations, and trying to decide whether or not these folks were good candidates for placement of missionaries. What turned out to be the final day of the hike, we arose before sunrise and were hiking by six, eating and drinking on the trail. We were keen to get home that day and pushed hard, crossing three major mountain ridge lines and covering about 18 miles. In one day! (My one moment of glory.) We reached a village in the Somau Garia area about five in the afternoon, still needing to hike another three-and-a-half to four hours. Darkness fell. It’s hard to see snakes in the dark. Our Maglites put some light on the trail ahead. Better. We could now see movement in the brush. We could see wet, slippery spots in the trail. We could see the edges of the mountain. We could see the turn in the path. We could see all that we needed to see. The lamp of the Word is a needful thing in a darkened world. The dark is teeming with creatures intent upon stopping us in our tracks. I am the Way and the Truth and the Life. No one can come to the Father except by me. His is an illuminated path, smooth and straight. Second, I have the Word of God, as quoted above. Many Somau Garia walk a darkened path, without God and without hope. Their resources are few to none. In their heart language, they have the Gospel According to Mark. Praise the Lord that this important piece of Scripture is available to them. Yet, it exists without the context that people depend so much upon to understand the whole counsel of Scripture. How will they overcome the darkness? How will they know the Way? How will they see ahead? God has seen fit to send Angela and I back to Papua New Guinea to finish the task of translating at least the New Testament in the Somau Garia language. This is one sure way to provide at least the possibility that they might come into a life transforming relationship with the Father. I’d like to invite you to join with us in this great adventure. 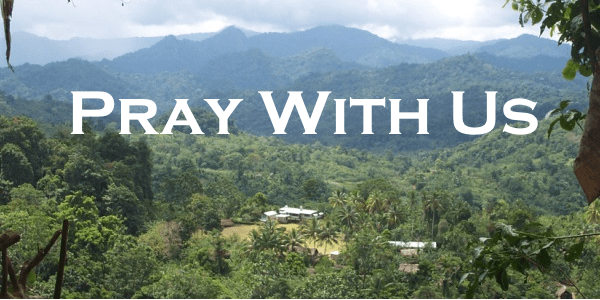 If you’d like to join us in prayer for the transformation of the Somau Garia people, click here to drop me an email informing me of your commitment to pray along with us. If you’d like to partner with Pioneer Bible Translators in sending us out, click here to discover how you can donate to this vital work. I’d like to leave you with a final thought or two. How has your walk been changed by the Word of God lighting your life? Do you allow the word to be a lamp for your feet and light for your path? How has the Word changed your walk?